Barnett III, Charles, and Frenz, Ron. Very Good. 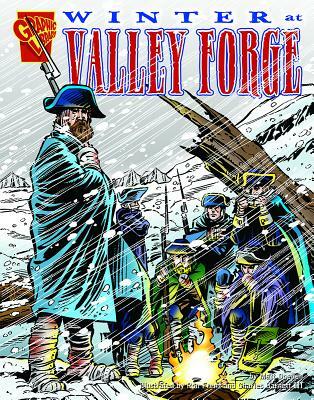 Winter at Valley Forge (Graphic History) by Doeden, Matt. Trade paperback (US). Glued binding. 32 p. Contains: Illustrations. Graphic History. Intended for a juvenile audience. Good used condition, shows average signs of use or wear for its age. Ships fast & secure, expedited available! Barnett III, Charles, and Frenz, Ron. New. Trade paperback (US). Glued binding. 32 p. Contains: Illustrations. Graphic History. Intended for a juvenile audience. Very Good. 0736862129 Minor shelf wear.